Screen legend Luise Rainer passed away on December 30, 2014, at her London home, at age 104, just two weeks shy of her 105th birthday. Unbelievable as it is, so was she. I met her twice for an interview at her London apartment on Eaton Square in 2000. Up until now, I still remember vividly how impressive it was to be welcomed by Miss Rainer when she opened the front door, very much alive and incredibly energetic, then at age 90, a screen veteran who made film history at a very young age, so many decades ago. The first person to win two consecutive Academy Awards as best actress for “The Great Ziegfeld” (1936) and “The Good Earth” (1937), she ended her short-lived career as a screen actress a few years later and virtually retired from acting. Her first marriage to screenwriter Clifford Odets ended in divorce (1940); in New York she later married publisher Robert Knittel (1945) and, together with daughter Francesca (b. 1946), the family settled in Switzerland. Mr. Knittel passed away in 1989, and since then Miss Rainer resided in obscurity in London. After decades out of the spotlight, she was rediscovered by journalists and reporters who got in touch with her to talk to her about her career, her meteoric rise followed by her premature and abrupt departure from Hollywood a few years later after clashes with her boss Louis B. Mayer. Without a biography published about her screen career and her – give or take a little bit – five years in Hollywood, with Greta Garbo, Norma Shearer and Jean Harlow as some of the other leading ladies on the MGM lot in Culver City, Miss Rainer became a living legend in her own right as the fascinating story of her life and career gradually unfolded. Initially she was a star of the Vienna stage, guided by the legendary stage and film director Max Reinhardt (1873-1943). Miss Rainer: “Reinhardt, though never titled, was a ‘prince’, a true aristocrat from inside out, he was wonderful. There was an extraordinary aura about him, he sensed people and artists, he sensed their talent. When someone needed help and advice, he was there. Otherwise he would watch, let go which made one feel his approval, giving encouragement and confidence to make one better.” Lured to Hollywood in 1935, she was soon to be heralded as the new Garbo. “Escapade” (1935) was her American film debut; Variety wrote in its film review on July 10, 1935: ‘Miss Rainer, entirely new to America, brings from Europe a wealth of skill in theatrical art. She acts with feeling’. A talent had arrived and, right away, she proved herself to be a star. 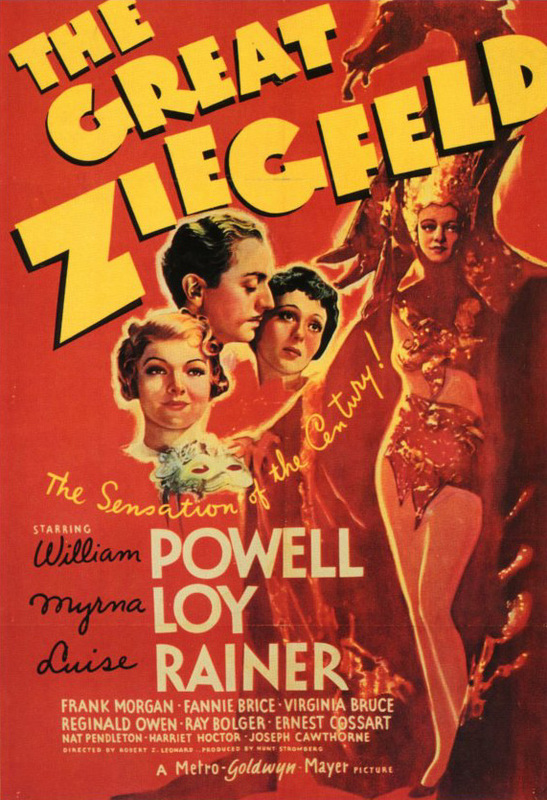 Her next film, “The Great Ziegfeld” (1936), a hugely entertaining biography of flamboyant impresario Florenz Ziegfeld (1867-1932), was an ode to showmanship with Miss Rainer impersonating Ziegfeld’s first wife, Anna Held (1872-1918), a former famous actress-singer. A telephone scene Miss Rainer had to make, became very famous: Ziegfeld had divorced Anna Held and broken hearted, by phone, Anna – holding back her tears – congratulated Ziegfeld to his next marriage. This scene, with Miss Rainer showing how immensely forceful she can be in dramatic scenes, earned her a first Academy Award. 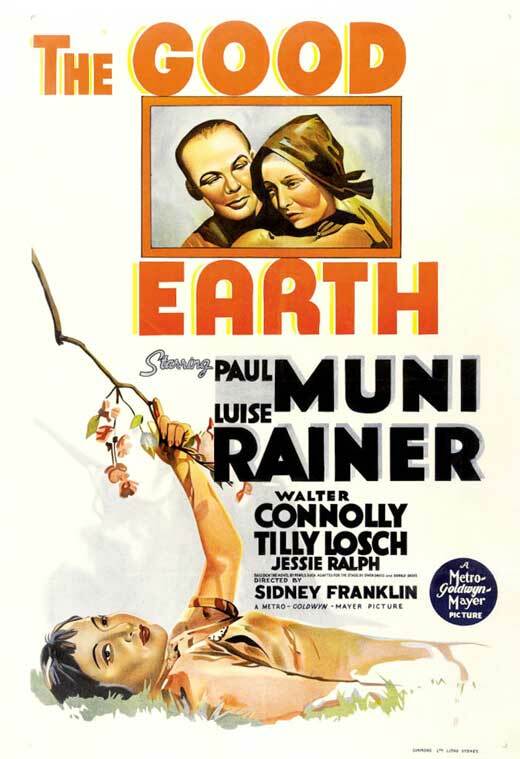 It was followed by “The Good Earth” (1937), based on Pearl S. Buck’s 1931 Pulitzer Prize-winning novel about a hard-working Chinese farmer and his family, resulting in another triumph for Miss Rainer. Playing the demanding role of O-Lan, the ever-patient wife of Paul Muni, she stole the show. Her part, she said, had the dialogue of no more than three pages. Her feelings and deepest emotions had to be expressed through eyes and action. At the end of the film and after O-Lan’s death, Muni, in deep sorrow, touched a peach tree she had planted, saying ‘O-Lan, you were the earth!’ – providing one of the most powerful closing lines ever seen on film. It was Irving G. Thalberg (1899-1936), Louis B. Mayer’s creative driving force, who insisted Miss Rainer would play O-Lan – very much against Louis B. Mayer who wanted her to be beautiful, ‘one of his racehorses in the stable,’ as she remembered. She didn’t know Mr. Thalberg very well, though. When she was one week in Hollywood, she was invited to a small party where she met him and his wife Norma Shearer. “He saw me, I did not see him then, you understand,” she said. With only a little bit of dialogue, Miss Rainer thought her portrayal of O-Lan might be ‘such a bore! How will I be able to get that out?’ She had never read ‘The Good Earth’, but once she had the script, she didn’t want to read the book anymore, because she wanted to work with the script, with the lines that were given to her and do what she felt she should do. It turned out to be another triumph: the film earned her a second Academy Award. Returning to the stage or the screen once in a while, she thoroughly enjoyed her final film “The Gambler” (1997), directed by Karoly Makk, and over the years she occasionally showed up in Hollywood at the Academy Awards, presenting the Oscar for Best Foreign Language Film in 1953 and 1983, and to celebrate the 75th Academy Awards in 2003 when she was surrounded on the stage by approximately 60 other previous Oscar winners. In her lifetime, Miss Rainer went everywhere and she knew everyone from the Roosevelts to Albert Einstein – she practically embodied the 20th century. Having met her twice at her home, I will always remember her as a wonderful, charming and most gracious lady, very vivid, bright, energetic, dynamic, literate and modest, with a great sense of humor. She looked at life through the eyes of someone who was eager to learn all that was new, fascinating and enriching. 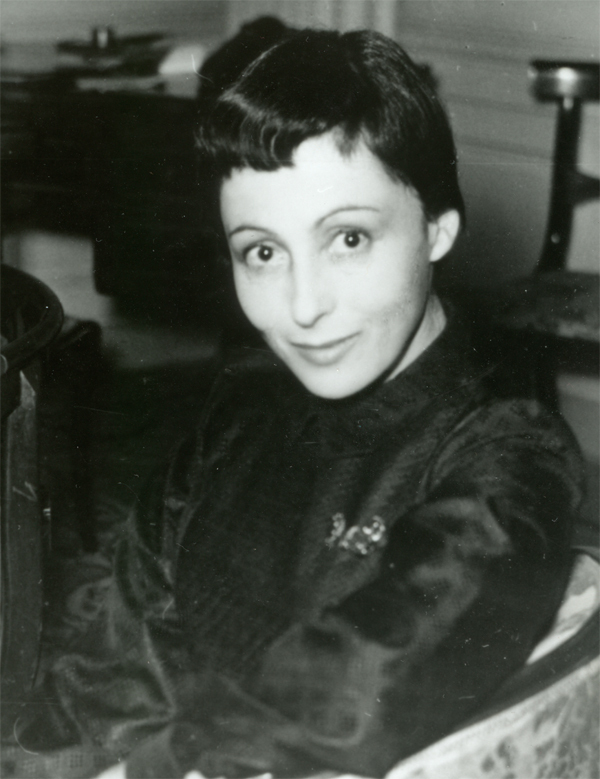 + Luise Rainer, born in Düsseldorf (Germany) on January 12, 1910, died of pneumonia in London on December 30, 2014, at age 104. DRAMATIC SCHOOL (1938) DIR Robert B. Sinclair PROD Mervyn LeRoy SCR Ernest Vajda, Mary C. McCall, Jr. (Hungarian play ‘School of Drama’ by Hans Székely, Zoltan Egyed) CAM William Daniels, Joseph Ruttenberg ED Frederick Y. Smith MUS Franz Waxman CAST Luise Rainer (Louise Mauban), Paulette Goddard (Nana), Alan Marshall (Andre D’Abbencourt), Lana Turner (Mabo), Genevieve Tobin (Gina Bertier), Anthony Allan (Fluery), Henry Stephenson (Pasquel, Sr.). Posted in Actress, Film Talk and tagged Academy Award, Albert Einstein, Anna Held, Clifford Odets, Eleanor Roosevelt, Escapade, Florenz Ziegfeld Jr, Francesca Knittel, Franklin D Roosevelt, Greta Garbo, Irving G. Thalberg, Karoly Makk, Louis B. Mayer, Luise Rainer, Max Reinhardt, MGM, Norma Shearer, Pearl S. Buck, Robert Knittel, The Gambler, The Good Earth, The Great Ziegfeld. Bookmark the permalink.